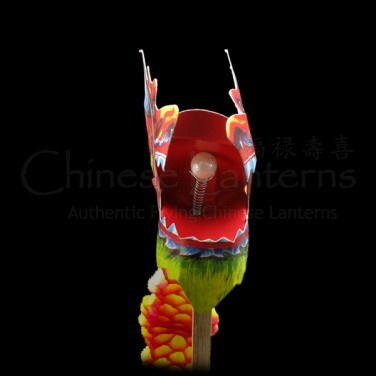 Authentic Chinese paper festival decorations, hang them around your garden, stake them in the ground or simply hold them at parties and celebrations. 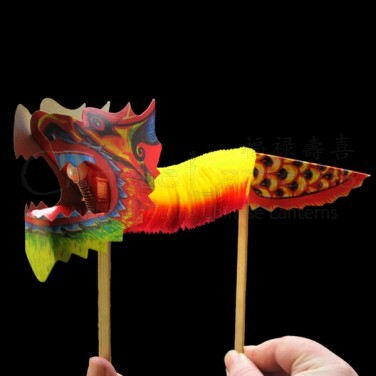 A pack of two stick mounted paper dragon decorations with pearl detail on dragon’s tongue that are great for parties and celebrations. 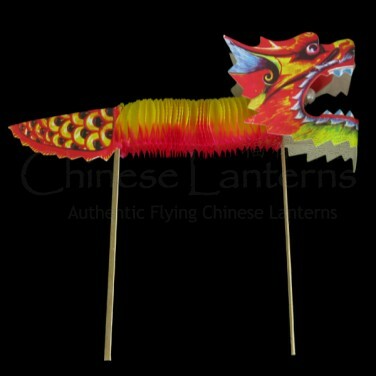 Traditional decorative dragons symbolise wealth and good fortune and so are great as hand outs for kids and adults alike to carry during festivals and celebrations, or for giveaways.